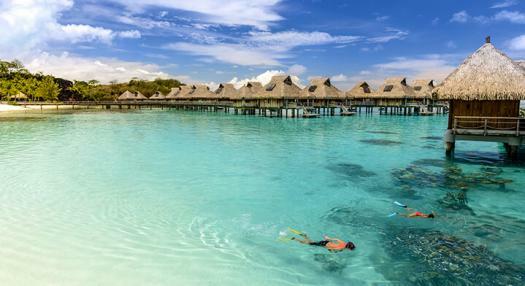 As a major actor in the development of the tourism industry in French Polynesia and conscious about the challenges linked to its operations (climate-energy, competition, new policies, etc. 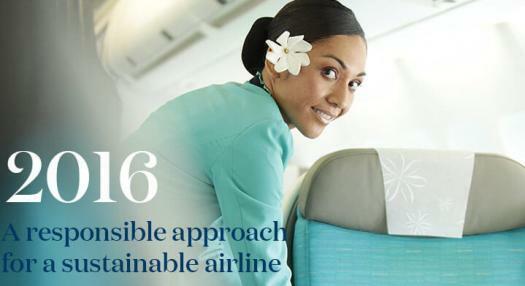 ), Air Tahiti Nui is voluntarily engaged in a corporate social responsibility (CSR) initiative since 2015. 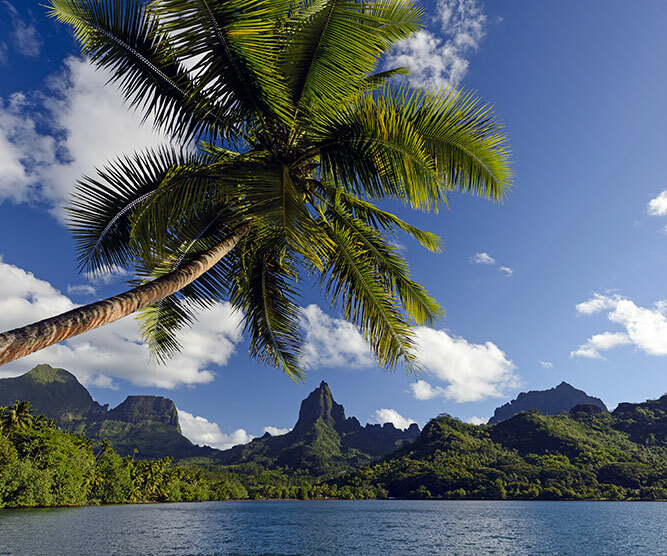 Our mission: To ensure sustainable air service that accompanies the development of the tourism industry of French Polynesia, while maintaining profitability and the high safety standards of our operations. 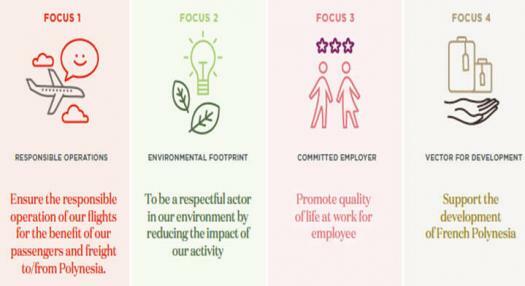 OUR CSR POLICY is based on 4 pillars and 10 commitments. 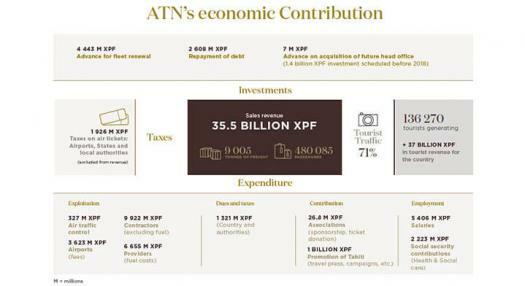 This document presents the CSR initiative of Air Tahiti Nui and the current state of itsq contribution to sustainable development commitments since 2015-2016. 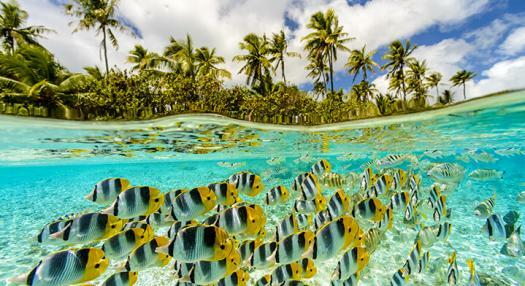 Conscious that French Polynesia is vulnerable to climate change because of its location in the Pacific, Air Tahiti Nui published its first greenhouse gas emission assessment (BEGES), thanks to the support of ADEME Polynesia, to measure and to reduce the impact of its activity on the environment. 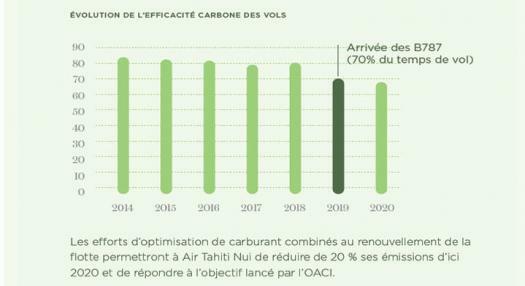 95% of CO2 emissions are linked to the combustion of fuel on Air Tahiti Nui flights representing 440 000 tonnes of CO2 eq. 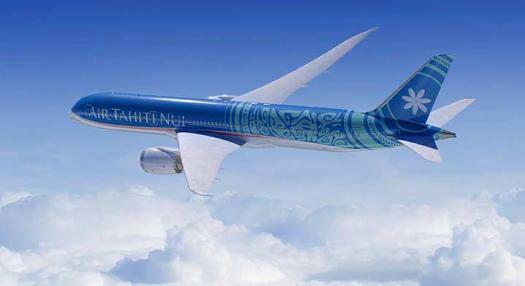 over the year 2014; the highest expense item for an airline, Air Tahiti Nui operating mainly on long haul flights. This assessment allowed to identifying secondary emissions items linked to the on-board catering service, the passengers and employees flying with Air Tahiti Nui, etc. La Polynésie, étant de par sa situation géographique dans le Pacifique, sensible aux effets du réchauffement climatique, Air Tahiti Nui a lancé son premier bilan d’émission de gaz à effet de serre* (BEGES) avec le soutien de l’ADEME, afin de mesurer et surtout de réduire son empreinte carbone. Based on the results of the GHG emission assessment (BEGES), 2015, our passengers can evaluate the CO2 emissions linked to their flight.